I’ve been asked for my take on faith in the U.S. Having spent a lot of time here over the years (I first came to America in 1972 as a child and was amazed at the large, modern and exciting church we visited in New York) I can’t really do this justice in a short blog post. Nevertheless, here are some brief thoughts based on my observations over the years. First, Christian faith is ubiquitous and strongly-represented here. I’m currently in Toledo, Ohio, and it’s almost as if there’s a church on every street corner (which on a grid system means an awful lot of churches!). They’re everywhere and they’re highly active. And I’m not even in the Bible Belt. In places like the Dallas - Fort Worth area of Texas the churches are even more numerous and tend to have much larger congregations, many running into the thousands of members. Some of the largest megachurches are located across the Bible Belt. Thus, faith is strongly-represented across the U.S, though it should be noted that there are areas where Christianity is less prominent, notably the liberal heartlands of parts of New England. During a visit to Massachusetts some years ago I was struck by how fewer (and smaller) churches there were. Five inches of snow yesterday, and two or three inches on each of the previous two days (plus there was already five or six inches lying on the ground when I arrived). Cars everywhere have long icicles hanging from the chasis or bumpers. Yesterday I was taken to Red Lobster, which as usual was great (I had lobster, king prawns and clam chowder, plus all those extras they throw in). My kids will be glad to know I've got the Taco Bell goodies I was instructed to bring home. Getting rather fed up with large breakfasts now. The church I'm speaking at is taking me out to lunch at a Polish restaurant tomorrow (this area has a high concentration of Polish Americans, indeed I married one). Speaking tomorrow morning at church, then off on Monday to Grand Rapids to do some research at Calvin College (as long as there's not too much more snow because it is heading northwards into the Michigan peninsula). Grand Rapids is where the publishers Baker Books and Zondervan are based. Last time I was there I found a huge Christian book store (I think owned by Zondervan) full of titles, new and second hand. Great place to browse, I hope it's still there (problem is, luggage allowance doesn't allow me to bring too many books back). Grand Rapids is where the Reformed wing is particularly strong. In parts of the South it's the Southern Baptists, in the Bible Belt there are a lot of Baptistic and Pentecostal/Charismatic churches, in New England it's the Episcopalians, and around Idaho the Nazarenes are pretty big. Of course, there are all kinds of denominations dotted about across the country, but some regions have higher concentrations of a particular brand of Christianity than others. In my next entry I'll be commenting briefly on U.S. faith, culture and politics. While driving around I've been flicking through the radio stations and there are so many Christian channels: talk shows, preaching, Bible study, Christian pop, Christian rock, and also the rather bizarre. Yesterday I came across a fellow who claimed next year sees the seven thousandth anniversary of Noah's flood, which means the Day of Judgement is scheduled for 2011. He has even put a date on it: 21st May. So whatever plans you had for next year's Summer holidays you might want to rearrange them. I mentioned this guy in passing to someone who said, "Oh, yes, the end of the world on May 21 2010". It seems he's not some local chappie, but rather has has a syndicated radio programme allowing him to spread his message across the country. Call me pedantic, but I did see a couple of problems with his dating of the Day of Judgement. The first is Matthew 24:36. The second is that I'm told he predicted the Apocalypse back in the early 1980s. Apparently, though, he concedes he didn't have the full revelation back then (clearly not) but now asssures his listeners that he does have it right this time. This is most reassuring. Waitress: Good morning, sir. How are you today? Me: I’m very well, thank you. Would you like one of our specials today? No, thank you. Just one of your regular breakfasts. Al-right-ee. Which one can I get for you? I’ll like this option here, please (pointing to menu). Very good, sir. Tea or coffee? Sausages (Unspoken: And please bring it quick as I'm getting rather hungry). Would you like link sausages, or shaped like patties? (Somewhat bewildered) Oh, do they taste different from each other? No, sir. They're just shaped different. (Reminded of Fawlty Towers and wondered if they also did Mickey Mouse shape, or amphibious landing craft shape sausages) Well, links I suppose. Over easy, basted, sunny side up? Your eggs, sir. How would you them? Er, well, soft enough to dip my toast in. Do you want all the egg whites cooked through? Home fries or hash browns. Would you like some sliced tomato on the side? No, thank you (about to faint with hunger). Toast, please (inwardly groaning at this stage, with the waitress wondering why I am grating my teeth). Wheat, wholegrain, sourdough, rye or white? The bread for your toast, sir. Oh, er, could you repeat the options, please? Certainly. Wheat, wholegrain, sourdough, rye or white? Very good, sir. Is there anything else I can get you? (Unspoken: Yes, my breakfast) Tabasco, please. Thank you, sir. Be sure to let me know if you need anything else or want to play Twenty Questions again (actually I made that last bit up). During the meal I was also asked at least twice if everything was alright or if I needed anything. Thankfully I hadn’t ordered the bottomless cup of coffee as I’m quite sure this would have added a further three of four exchanges with the waitress seeking to refill my cup during the course of breakfast. The above is not untypical in some restaurants specialising in breakfast. (It reminded me of Fawlty Towers, you know, the Kipper and the Corpse episode, and I fully expected her to ask me, “What would you like your breakfast table made fro: oak, mahogany, teak?" Fortunately, the breakfast arrived in just a couple of minutes (honest), the whole order correct, and it was excellent. A far cry from the sawdust sausage roll (even though I’d asked for a bacon roll) slammed on my table at London airport by a growling waitress who had clearly just had a row on her mobile 'phone with her boyfriend. Cheaper, too. Of the two experiences I know which one I'd prefer. Went to the local Christian bookstore today to look at Bibles. One of my weakness, this. I enjoy the quite starling array of choices and bindings on display, and I usually end up buying one (can't resist it, a bit like a magpie and shiny objects). I especially like the thin Bibles, and they have lots of those: Thinline, Slimline, Ultrathin and Ultraslim (honest). Aside from an array of thicknesses, bindings and versions, I even came across a Waterproof Bible made from special paper designed especially for those whose work in wet conditions makes this a must-have. Presumably, then, this is the Bible of choice for plumbers, swimming pool cleaners, lifeguards, restaurant kitchen washing up workers, synchronised swimmers, and Alaskan crab fishermen out in the Bering Straits (let me know any others I missed). But the wackiest are the specialist Bibles, designed for those in particular jobs or professions, or else to assist you in getting across your pet doctrine. Thus I saw (to mention but a few) the Military Bible, American Patriot Bible, Firefighter's Bible, Police Bible (complete with matching handcuffs and rubber truncheon... no, just joking), and even an Atheist Bible (not designed for atheists but rather to help you challenge them), a Darwin New Testament (ditto) and a Word of Promise Bible. Lest those of you on the Evangelical left or of a liberal Protestant persuasion feel a little left out, don't worry, they're getting in on the act too, with a Peace and Justice Bible and several others. Which all goes to show how, in our postmodern, relativist age, you can tailor the Bible to pretty well any circumstance, message or situation. Made it to the US at last. Five hours behind from you, and also I don’t have an Internet connection all the time, so I’ll post as and when I can, sometimes in batches. Good flight, picked up my hire car and made it to my destination safely. Stuart, plenty of snow here so yet another Christmas to celebrate. Another two in ches overnight, on top of the six or eight inches on the ground already. Seems the country doesn't ground to a halt here when it snows, though. Ate out with family last night and did some shopping (America is a great place for that). Can’t wait to go the local Christian bookstore, a large shop about the size of our local Co-Op. Has anyone visiting the U.S. ever noticed how it seems like wherever you go your nostrils assailed by one of three dominant smells: coffee, cinnamon or popcorn? They drink coffee by the gallon here. Yes, it's generally weaker than the European stuff, but they tend to serve it in buckets. Indeed, local convenience stores seek to outdo each other by offering the biggest drinks of pop, whether the Gulp, Supergulp, or Double Supergulp Plus! I passed a shop last night advertising a 60 oz drink. Isn't that close to two litres of Coke? With several months elapsing since my last flight I’d almost forgotten how much I detest air travel, particularly the security checks. Today (Wednesday) I got the whole treatment. First, a metal detector which stubbornly kept going off regardless of how much stuff I removed from about my person. This resulted in a pat-down and hand-held metal detector check, but to no avail (I have metal in a leg from an accident which I’m sure has been the cause of most of my airport misery for years). It was clear from the official’s face I didn't fit the correc profile and he was quite sure I wasn't going to slip through the net on his watch, so I was packed off to one of those newly-installed full-body scanners we’ve heard so much about. Whatever they tell you, it’s pretty humiliating. And don’t believe those news clips eulogising their high-tech nature or claiming the operator is in “another part of the airport”. I ushered into a room filled with a big box which I had to stand in front of and give it a twirl with my arms raised high (I just hope they haven't kept the image and superimposed a pink tutu over it). The official accompanying me then thumped loudly on the box with his fist and shouted, “Does it look OK?” At first I thought he had gone quite mad, until a muffled voice from within the box responded, “Yeah, I think so”. Behold, the vanguard of England’s high-tech security, protecting our citizens and air carriers from dangerous terrorists . I suppose you could just make a case for the airport operator being located “in another part of the airport”, though not a particularly distant part of the airport, it must be said. The trip is already steadily going downhill. Yes, superfast and supermodern rail from home to London, but then it all began to sour somewhat. It took an hour and a bit from home to the city, but nearly as long to cross London on the Picadilly Line. Twenty-three stops! Worse, it was absolutely crowded. No seats for at least half the way (in fact, not much air to breath either). I thought that arriving in London at around 8 pm would mean it was pretty quiet, but no, we were all squashed together like sardines for half the journey. Then, lo and behold, the train all but empties at Earl's Court. I have been quite puzzled ever since, wondering what on earth there is at Earl's Court which so entices hundreds of commuters to disembark there with bright smiles on their faces. Indeed, so puzzled I would be most grateful for any reasonable explanation that furthers my understanding of the delights Earl's Court has to offer. Is there some major attraction there, maybe? Or perhaps there was a rave or something tonight (though most of the people who got off looked fairly professional, certainly not the ecstasy-popping crowd). Then I began to wonder if the stop immediately following Earl's Court - West Kensington - is widely known among Londoners as high up on the list of targets for various terrorist groups. If so, I do rather wish they would at least let us provincials know so we too may disembark and sample the delights Earl's Court has to offer. Anyway, explanations shedding any light most gratefully received. Otherwise, made it to my hotel only to discover it is quite literally located at the end of a runway, with jets taking off just a few feet overhead from my room (I'm on the very top floor) by the minute. Also, the TV here only has seven channels, four of which seem to be Bollywood movie channels (which is fine, I suppose, if there are subtitles, which there aren't), the rest apparently (quite boring) news channels. Personally I think it's deliberate, aimed at ensuring guests go to bed early ready for your early morning flight. Oh, and to cap off a wonderful day, earlier I went out and invested in some quite fine and luxurious sock especially for my trip, only to find out just now that I forgot to pack them. Can't wait to see what tomorrow brings. As we speak I've set off for the U.S.! As stated previously, I'm speaking there and also attending the SPS conference in Minneapolis. For a bit of fun (for my family and me as much as anyone else) I thought I'd intersperse my entries with a light-hearted travel blog, which I've done in the past on the KEDS blog and which people seemed to enjoy (at least my family can keep up to date with where I am and what I'm doing). Was thinking of a name to call it and something came to mind. Was it the BBC broadcaster Alastair Cooke who produced a weekly broadcast entitled Letter from America? Anyway, something along those lines seemed a good idea, bearing in mind where I'm travelling to. Having said that, I'm not a broadcaster, nor am I an analyst of North America, and I'm not even writing a letter (we've moved on since then, so Blog From America seemed more apt). Indeed, I'm not even in America yet! (So far, then, the travel blog's name is patently false in almost every way.) As I speak and get ready to hit "Publish" I'm actually on the high speed rail from East Kent to King's Cross St Pancras, where I arrive any minute now. Nice trains. Staying overnight near Heathrow as I have an early morning flight to catch. Will blog on my travel exploits when I can, though it will be hit and miss during travels when I'm away from a connection. Will see if I can do something from the airport in the morning, and throughout these travel entries I'll try to keep it light and humorous. I still intend to blog on other issues as normal, as time permits. Anyway, bye for now. My good friend Chris Lazenby is over the moon! Chris (a colleague at King's who posted a guest blog here recently) and his wife Pam were overjoyed when their daughter Emma Lazenby won the Short Animation category during last weekend's BAFTA awards (British Academy of Film and Television Arts, the British equivalent of the Oscars) held at Covent Garden, London. Emma's short film entitled Mother of Many is based on her mother's 27 years as a midwife. Naturally, Chris and Pam are very proud of their daughter's impressive achievement. Congratulations to them and Emma! Today's Telegraph has a very sad story concerning Jewish families leaving the Swedish city of Malmo, many having originally settled there having escaped the Nazi concentration camps, because of a sharp rise in anti-Semitic hate crimes. Reading the Telegraph story one is struck by the similarities with similar reports filed elsewhere in recent years. First, anti-Semitic incidents emanate disproportionately from among the Muslim population. Now it would be quite easy to focus on this aspect, as well as challenge the architects and champions of multiculturalism to justify one community's treatment of another. But I think there is another aspect to the story here. In quite a few of the reports I've read many of these hate crimes are by young Muslims, suggesting what we see against Malmo's and other cities' Jews owes something to the radicalisation of young Muslims in recent years. I do not recall such anti-Semitic (indeed anti-Israel) vitriol on European streets during previous stages of the Arab-Israeli conflict. Second, whenever Jewish communities are subject to harassment or attack it is often explained away as a direct consequence of events in the Middle East. Leaving aside the narrative of Israel as somehow worse than any other country, which I consider ideologically-driven and also plain wrong, how do events in the Middle East possibly justify racism towards Jews living several thousands of miles away, many of whom have never even been to Israel? It is often said racism is an irrational mindset, and on that basis such attacks in Malmo and elsewhere prove it. Meanwhile, it seems the Jews remain the only ethnic group for which racism is understandable and tacitly accepted. For more on this, read here. Lest we focus solely on the young Muslims disproportionately involved in such attacks, a third recurring theme is that these incidents tend to be concentrated in Europe. Of course, anti-Semitism exists everywhere, but we hear far less of such hate crimes in, for example, the US or Latin America (where there are various Jewish communities and quite a large number of Arab immigrants). In short, this is a European problem across a continent that has a centuries-old history of anti-Semitism which climaxed just a few years ago with the murder of six million Jews. I think one of the reasons young Muslims feel it is acceptable to be anti-Semitic is because they live in a continent where such views find fertile ground. A fourth recurring theme in this and similar stories is that the end result is many more European Jews emigrating to Israel. I've read about their views and indeed met some there. "If I'm going to be hated and attacked, it might as well be here - among my own people - than back in Manchester" is a sentiment I've come across several times in Israel. Meanwhile, such attacks, together with Europe's failure to stop them even with the Holocaust so fresh in the continent's psyche, the subsequent return of Jews to Israel as a result of such attacks, the demonisation of Israel, and finally calls for Israel's destruction emanating from the Middle East all help to bolster the narrative believed by millions of Christians that God is continuing to restore His people to the land of their forefathers. Yesterday I really needed a break from it all... theology, blogging, marking, writing, or whatever. So while in our local superstore I browsed through the DVDs and came across the movie 2012, you know, the blockbuster about the end of the world. Now, I haven't seen this film, I also recalled reviews were mixed. But for a fiver you can't go wrong, while I knew whaever happened at the very least the kids would enjoy it. I was quite wrong, couldn't be more wrong, in fact, in both assumptions. Within a very few minutes it was clear something was not right. We were all soon pointing out lousy special effects ("awful effects" would have been a more apt title), poor film and soundtrack, numerous quite ludicrous inconsistencies in the plot, and terrible acting (none of the actors were known to us, by the way). As the end of the world begins to draw nigh, about 20-25 minutes into the movie, by which time my family members are beginning to disappear one by one from the living room, mumbling excuses about homework, the film makes several oblique references to God. A sneaking suspicion led me to look up the film on the Internet and I was right! We had not bought 2012 at all, but a Christian movie entitled 2012: Doomsday. This was a strange piece of cinematography, with no clearly discernible Christian message other than apocalypse (which was bizarrely reversed when four people placed an ancient crucifix in an abandoned Mayan temple). Happily, our fast forward button is in good working order and it got plenty of activity last night. It all goes to show three thing. First, the Christian film makers back in the early 1970s were at least consistent in their attempt to scare the living daylights out of us by focusing on the same message of missing the rapture (remember A Thief in the Night?). Second, once again it is proved that Christians should stick to what they're good at. I suggest (with the odd exception) this does not include making films, writing and performing pop music, producing television programmes, or performing dance. Finally, it demonstrates the uncanny ability of superstore sales teams to dupe you into buying almost anything, although in this case I rather suspect the store was itself duped into mass buying what it thought was the original 2012. I can only hope so. It seems only fair they experience some of the utter misery I had to endure last night. With its change of name last year from Midlands Bible College to King's Evangelical Divinity School, as well as switching to a new, more powerful server as we continue to expand our eCampus, the college is continuing its long-term migration of all its websites to the new server under the new domains. We have forwarding software in place for now anyway, but if you do happen to link to any of the college sites you should update links to reflect the new URLs (eg http://www.kingsdivinity.org/ instead of http://www.midbible.ac.uk/), as eventually automatic forwarding wil be switched off. Please also note that this weekend the King's blog's URL has changed to http://blog.kingsdivinity.org/. As you know I research and write in several areas, one of which is Pentecostal Studies, particularly Pentecostalism in Latin America, and increasingly Pentecostalism and politics. Pentecostal Studies is a burgeoning discipline, reflecting the movement's massive growth in 1970s and 1980s Latin America, which captured the attention not only of theologians but also historians, sociologists, political scientists and experts in Latin American studies (also known as Latin Americanists). There is also considerable interest in expressions of the phenomenon in and its impact upon regions such as Africa and Asia. One of the reasons the field is so important is that despite a plethora of secularisation theories gaining widespread popularity some decades ago, explosive growth of Pentecostalism in different parts of the world since has challenged such theories, while scholars in various disciplines are keen to explore the movement's wider social and political impact in those regions where it is at its strongest. Though Pentecostal Studies is sometimes seen as a subdiscipline of theology, it is also an interdisciplinary area in its own right, involving scholars both within and outside the movement, external observers and internal participants, those who approach it predominatly theologically and others who regard it as a phenomenon to be observed historically, sociologically and politically. Pentecostal Studies, then, represents an incredibly broad and diverse academic field tackled from various angles. Meanwhile, the term "Pentecostal" has gradually become associated with the broader movement as a whole, that is, encompassing various expressions and strands of the Charismatic movement also. As such, some scholars use the uncapitalised word "pentecostalism" to refer to the wider movement drawing on a common historical and theological base, while others refer to the Pentecostal-Charismatic movement (sometimes abbreviated P/C). There are several Pentecostal Studies networks here in Europe, such as Glopent and EPTA, while centres and universities in Europe concerned with this field include the University of Birmingham and the Walter Hollenweger Centre. Leading European scholars involved in the field include Allan Anderson (Head of the School of Philosophy, Theology and Religion, University of Birmingham), William K. Kay (Professor of Theology, Glyndwr University, and formerly Reader in Pentecostal Studies at Bangor University) and Andre Droogers (Professor of Cultural Antropology, VU University of Amsterdam and Director of the Walter Hollenweger Center). But perhaps the largest academic network concerned with Pentecostal Studies is the Society for Pentecostal Studies (SPS), which holds a yearly international conference bringing together many of the biggest names in the field. The next SPS conference will be held at the North Central University, Minneapolis, in just a couple of weeks (4 - 6 March). I will be attending this conference (I fly to the US this coming Wednesday), so if you're a Pentecostal Studies specialist and happen to be attending next month's conference please be sure to look me up. SPS produces a highly respected, peer-reviewed scholarly journal, Pneuma: The Journal of the Society for Pentecostal Studies, which is published by the highly regarded Dutch academic publisher Brill (Leiden and Boston), founded in 1683. 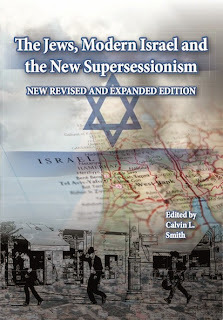 Brill also publishes such well-known academic journal titles as Mission Studies, Journal of Rabbinic Judaism, Journal of Reformed Theology, and many more, including various titles in the humanities and social sciences (Brill publishes over a hundred scholarly journals). Pneuma is a quite massive Pentecostal Studies journal, with thousands of institutional and individual subscribers. Recently, Amos Yong and Dale Coulter took over editorship of Pneuma from Frank Macchia. All three are leading and prolific Pentecostal Studies scholars. My reason for explaining all this? Well, several months ago I was invited by the editors onto the editorial committee of Pneuma: The Journal of the Society for Pentecostal Studies. The April edition details the new appointments and I am free at last to let people know. This is a great opportunity about which I'm quite quite excited, enhacing my work in and contribution to the field. Importantly, though, it is also a singular honour to receive such confidence and be asked to work with various fine scholars in the field. If you're interested in Pentecostal Studies from whatever angle, whether external observer, participant, specialist in a related field, or student of a region where Pentecostalism is making important inroads and having a significant social and political impact, Pneuma is an important journal with lots of relevant scholarship. An Anglican priest who recently attended a Palestine conference organised by the Federation of Islamic Student Societies today blogs of his participation in the conference. Revd Stephen Sizer also refers to the Jerusalem Declaration, a document he helped draft and which he says “repudiates Christian Zionism as a deviant heresy”. This is strong language indeed. Of course, it is no secret Revd Sizer has widely publicised his intense dislike of Christian Zionism, which he has every right to do. But surely labelling millions of fellow Evangelical Christians deviant heretics goes too far. There is a time to speak out against genuine, grave heresy, and those destructive false teachers repudiated in the New Testament usually have a major trait in common. Whether the Galatian heresy which denies the power of Christ’s salvific work through the cross, the Colossian heresy, incipient Gnostic dualism in the Johannine writings, or the heretics Jude warns against who “deny our master the Lord Jesus Christ”, the heresies roundly condemned in the New Testament tend to deny the person and work of Jesus Christ. In short, they are Christologically defective. Thus, it is quite one thing to challenge particular doctrines and teachings one may disagree with (including Christian Zionism or for that matter supercessionism), but quite another to label millions of fellow Christians who have accepted the Lord Jesus Christ as their personal saviour deviant heretics, a label generally reserved for those whose teachings and beliefs in some way deny the person of Christ. This is excerpt 3 of Pentecostalism and Politics in Latin America. If you haven't done so already, be sure to view excerpt 1 and excerpt 2. This post won't make full sense without them. Timothy Steigenga discusses how, before the 1980s, many sociologists and political scientists rejected religion as a determinant of political behaviour. The view that religion was inherently conservative, a penchant among academics for materialist explanations, and a rejection of models relying on belief, culture and psychology in favour of empirically-based (and thus presumed more elegant) theory all contributed to the dismissal of religion as a significant actor on the political stage. Yet Latin American liberation theology, the rise of the Religious Right, and the Iranian revolution all contributed to the 1980s resurrection of religion as a political determinant. (8) But especially important in establishing the role of religion in politics was the explosive growth of Pentecostalism in Latin America during the 1980s, which draws heavily from among the poorest of society, who flock to Pentecostal churches in huge numbers across the continent. Yet Latin America is also the birthplace of another religious movement which also draws its support base from among the poor: liberation theology. Why, then, has Pentecostalism proved so successful in attracting the masses, dwarfing liberation theology in the process? What does it offer that liberation theology, which promised Latin America’s poorest sectors of society so much, was apparently unable to deliver? Some observers wonder if Pentecostalism’s worldview genuinely helps to liberate the poor from a life of drudgery and poverty, or if it merely helps to preserve the existing social order and thus serve as a useful prop for existing elites. Jenny Tonge is at it again, this time calling for an inquiry into whether or not Israeli workers in Haiti were harvesting or trafficking human organs. I must say, this stuff is pretty medieval, like something from a Shakespeare novel about Jewish merchants or something. Which other country is ever accused of such terrible things when they send relief to a disaster-beset country? Is hatred of Israel so bad that whatever her actions they are always interpreted as monstrous? Neither is this the first time; this issue has come up before here in the UK media, resulting in a very public apology. For her part, Jenny Tongue has been up to her eyeballs in it before. veral inches of snow here yesterday, but overnight another four inches or so. Roads were awful this morning and can't get into the office (oh well). Funny thing is, just a few miles inland there was much less snow. It's usually the other way around. We're right on the coast on a tiny peninsula, so the salt air means snow is pretty rare here. The pictures below show the snow piled high on a table in our back garden. One of the kids measured the depth and it was seven inches. It really feels Christmassy, so may get out some coloured lights and watch Scrooge tonight (or maybe Where Eagles Dare, with Richard Burton and Clint Eastwood taking on the Nazis in the Bavarian Alps, now there's some Christmas viewing). I even trudged to the butcher's to see if he just happened to have a turkey lying about (no such luck, I'm afraid, lamb stew is the best we're going to get). In Britain's hallowed halls of academia... "Kill the Jews"
The Times today reports on how, during an address to the Oxford Union by the Israeli Deputy Foreign Minister, a pro-Palestinian protester allegedly shouted out, "Kill the Jews!" It's quite one thing thing for one or other side to express disagreement, even anger (though this achieves nothing), over the current Middle East conflict. But imagine the outrage (and rightly so) if at a similar meeting a Jewish student had shouted out, "Death to Arabs!" For that matter, imagine attending a meeting where someone called for the death of Whites, Asians, Blacks, or whatever other ethnic group. We would be pretty united in our disgust and outrage. Yet in keeping with a recent recorded rise in anti-Semitic incidents here in the UK, it seems this kind of thing seems to go on quite a bit on British campuses, while condemnation does not always seem to be immediate and concerted. It's almost as if racist abuse towards Jews is somehow different from that aimed at other ethnic groups, and definitely so if the target is Israeli. Even one of the comments following the Times story complained about the Jews hijacking the term "Semitic", while another remarked Israelis couldn't handle free speech. It seems, though, that the student in question might be out of luck because the Deputy FM, in a new policy of zero tolerance towards anti-Semitic abuse, is apparently looking at the video evidence to see if he can pursue the matter through our race hate laws. Good! However much as Christians we seek to avoid confrontation and division, unfortunately Christian responses to the Israel-Palestinian conflict are sharply, dogmatically, even bitterly polarised into the pro-Israel and pro-Palestinian camps. The problem is, polarised positions are not particularly constructive, exacerbated by at times quite shrill rhetoric, which makes any effort at moving the debate forward somewhat difficult, if not downright impossible. Phase 1: "People, not land"
A major sticking point in the Church’s polarised response to the conflict, which echoes the nature of the debate in both the media and the region itself, is the issue of who owns the land. My own approach, during the course of various conference papers, journal publications and debates, has been to shift away somewhat from this aspect of the conflict and instead focus on the election of the Jewish people, that God has not finished with the Jewish people. It is significant He is described as the God of Israel around 200 times in the Bible, while “Israel” is a truly biblical theology theme, covered substantial in both Testaments. This canonical theme, together with his delving into systematic and historical theology, is the approach taken by R. Kendall Soulen in his excellent book The God of Israel and Christian Theology. Excerpt 2, "Pentecostalism and Politics in Latin America"
A couple of days ago I posted some material for an M.A. module I produced exploring Pentecostalism and politics in Latin America, promising further excerpts from this study manual in the near future. Details of where this material originally appeared, together with part 1, can be found here. Find below part 2. Further excerpts to follow.